March 25, 2019 | There’s a treadmill in the center of Professor Jill Higginson’s laboratory, and it’s not for impromptu workouts. Higginson studies human motion and gait so that she and other scientists can develop devices to help people recover from injuries and illnesses that limit their mobility. October 26, 2018 | The University of Delaware and four other institutions will receive $25 million over five years from the National Institutes of Health and the state of Delaware to continue research programs that improve patient care and public health, officials announced Friday. 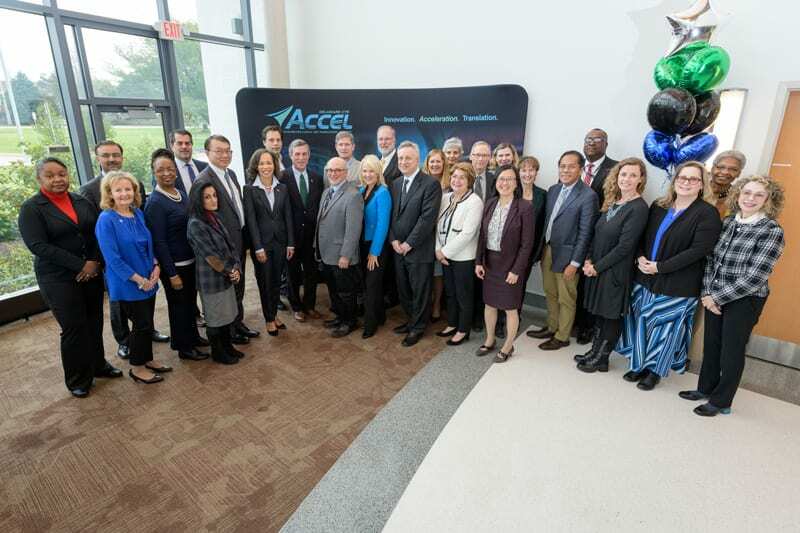 Delaware’s Center for Translational Research ACCEL Program will continue its efforts to bolster and expand clinical and translational research in the First State, thanks to the grant renewal from the federal and state agencies. 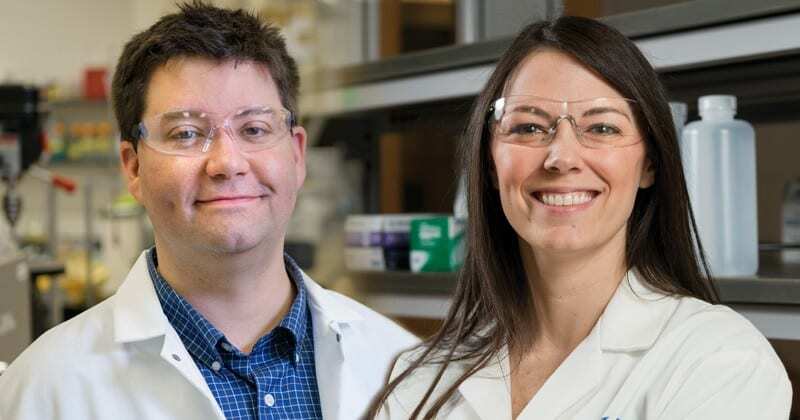 October 11, 2018 | University of Delaware assistant professors Emily Day and Jason Gleghorn have been named Young Innovators of Cellular and Molecular Bioengineering for 2018. September 28, 2018 | Consider the humble coffee cup. Its simple duties conceal a deceptively formidable character: The ceramic it is made of is harder than steel, and the scalding liquids it holds never seem to do it much harm. Now imagine a roaring, flaming jet engine — possibly the pinnacle of 20th century power plant engineering — and try to envision what a touch of ceramics might do to make it even better. 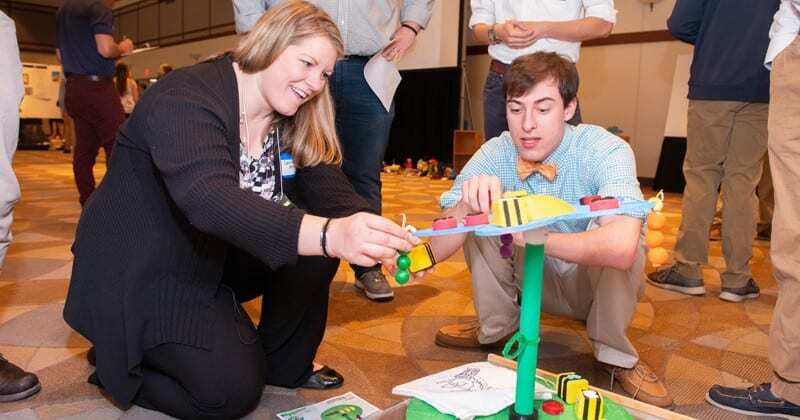 September 20, 2018 | Engineering students at the University of Delaware recently pitched their own inventions to representatives from a major toy company. 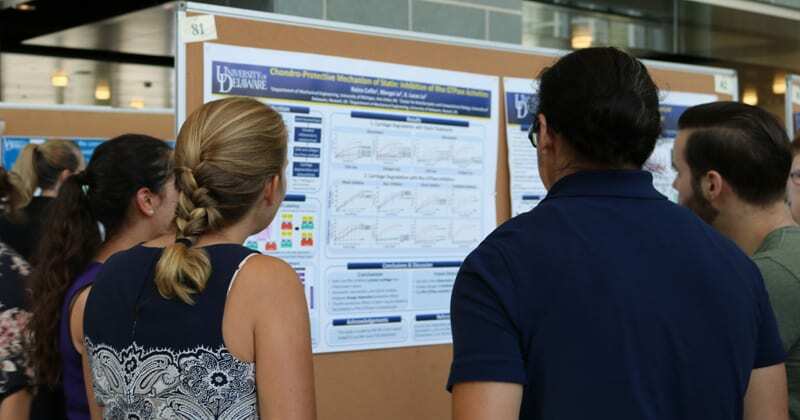 UD’s Center for Biomechanical Engineering Research receives REU funding through 2021. September 4, 2018 | For the next three summers, UD will welcome select undergraduate students from across the country for an opportunity to apply their engineering skills to biomechanical problems. 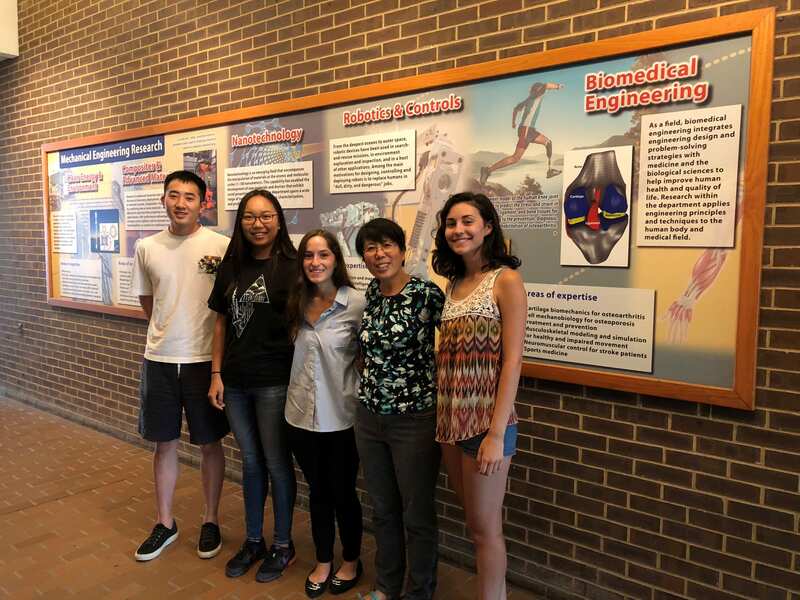 NSF has awarded funding to the University of Delaware’s Center for Biomechanical Engineering Research (CBER) to be a Research Experience for Undergraduates (REU) site through 2021. 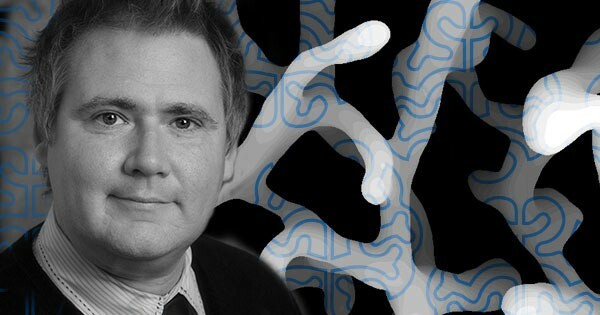 NSF first funded this site, called “Dare to BE FIRST” Biomechanical Engineering Foundations in Impactful Research, Science and Technology (BE FIRST), in 2015 for a three-year term. The program hosted 49 students in the last three years. August 27, 2018 | If you dream of building or driving a race car, you can do it at the University of Delaware — all while earning an engineering degree. Just ask Sean Nelan. The recent graduate, who earned a degree in electrical engineering, led UD’s Formula SAE team, which builds a prototype race car, to its best-ever finish in competition this year. 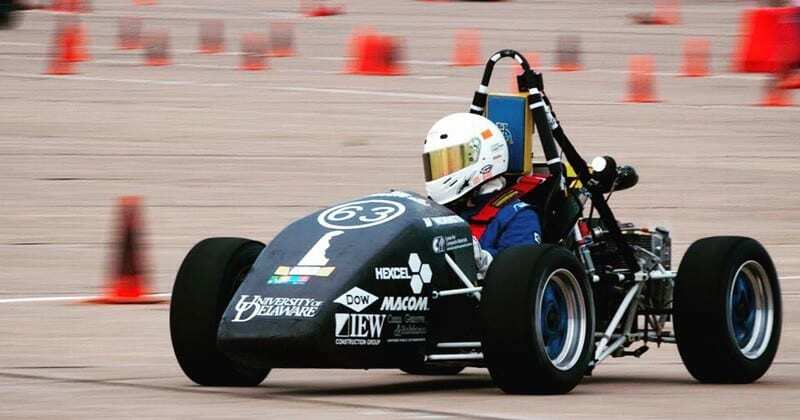 At the annual Formula SAE competition in Lincoln, Nebraska, held from June 20 to 23, 2018, UD finished 23rd, up from 43rd in 2017. Although UD’s Formula SAE team was founded in 1996, they took a hiatus from competition for several years and resumedin 2017. The presentation of the Stanley Family Foundation gift of $20,000 in memory of Vincent Baro, a former CBER student whose life ended too early, took place at the 2017 CBER Biomechanics Research Symposium. In honor of Mr. Baro, CBER will support summer undergraduate scholars in orthopedic research during the next two years. June 22, 2018 | Cancer treatments—from radiation to surgery to chemotherapy—are designed to remove or kill cancerous cells, but healthy cells often become collateral damage in the process. What if you could use lasers to pinpoint the treatment area and deliver medicine to cancer cells only? 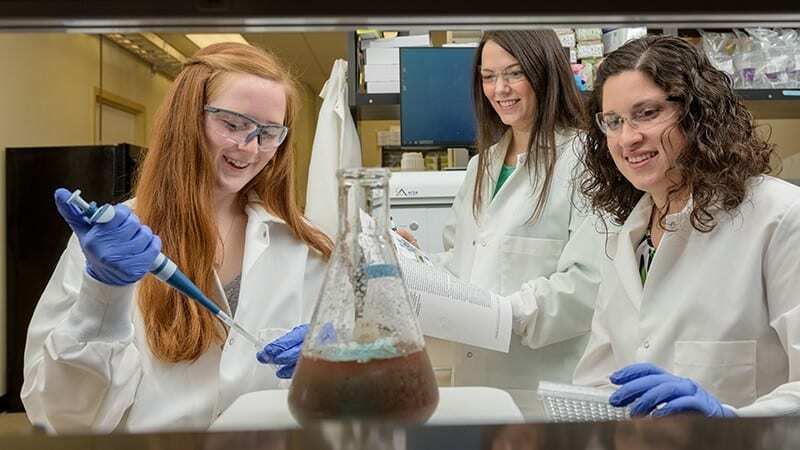 A research team at the University of Delaware, led by Emily Day, an assistant professor of biomedical engineering, is laying the groundwork for a method to inhibit cancer-promoting genes in cancer cells while leaving healthy cells intact. In a new paper published in Nano Letters, the team reveals unprecedented insights into this promising method, which involves coating nanoparticles with gene-regulatory agents and then exposing them to a dose of laser light to unleash that material. June 11, 2018 | Talk to a few of Jenni Buckley’s students, and they might tell you she’s their favorite professor. 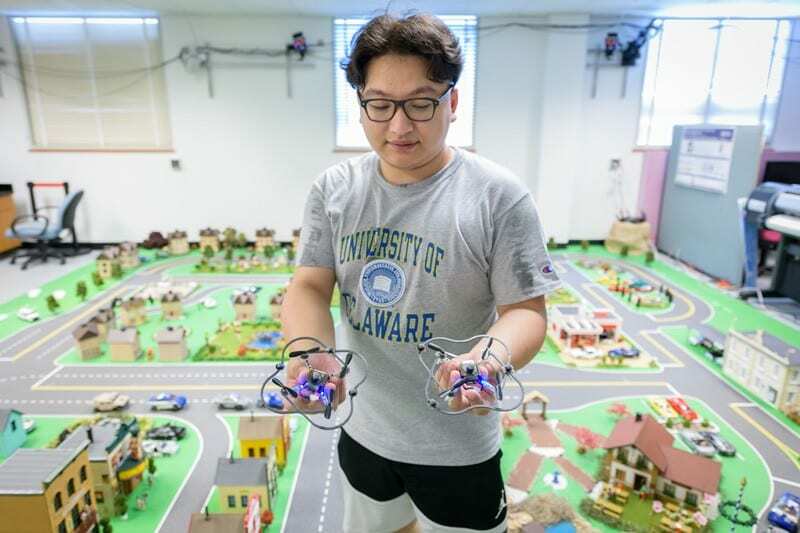 Now, this University of Delaware engineering professor is being recognized as one of the best anywhere. Buckley, an associate professor of mechanical engineering, was named to the American Society for Engineering Education’s “20 Under 40,” a list that recognizes outstanding engineering educators under age 40. An article about Buckley appears in the organization’s latest issue of ASEE Prism, the most popular magazine covering engineering education in the U.S.
June 6, 2018 | Every engineer knows that the two sides of any equation should be equal. But when you are dealing with experimental data, sometimes the numbers don’t match up. 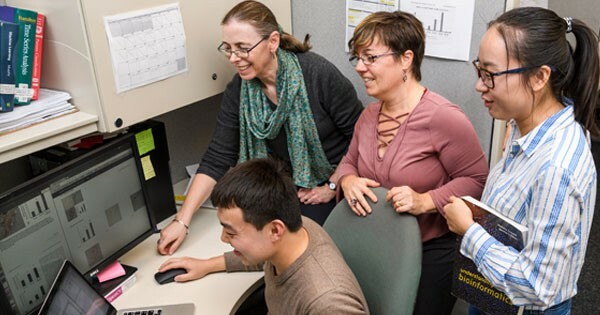 When Anahid Ebrahimi, who recently earned a doctoral degree in mechanical engineering at the University of Delaware, noticed that an important equation in biomechanics never balanced, she was determined to figure out why. June 5, 2018 | In laboratories across the University of Delaware, scholars are uncovering new insights about the human body: how a compound in red wine might protect joint cartilage from damage, how bad posture wears down the discs in your back, how your knee heals after an anterior cruciate ligament (ACL) tear, and more. 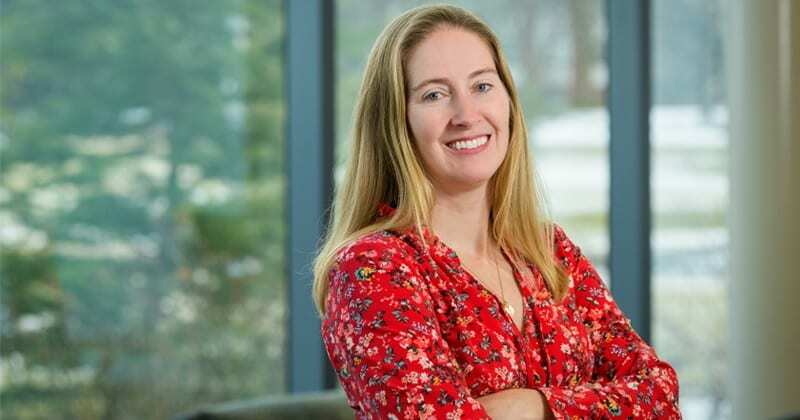 April 17, 2018 | University of Delaware assistant professor Karin Grävare Silbernagel (Physical Therapy) received a five-year, $2.3 million Research Project Grant (R01) from the National Institute of Arthritis and Musculoskeletal and Skin Diseases to study Achilles tendinopathy. This overuse injury is most prevalent in active individuals between the ages of 35 and 55, but occurs in people of all ages and activity levels. April 5, 2018 | John Slater, an assistant professor of biomedical engineering at the University of Delaware, has received a National Science Foundation (NSF) Career award to develop a tissue-engineered model of ischemic microstroke. The grant, which is expected to total $530,000, started on March 15, 2018 and will last until February 28, 2023. April 4, 2018 |As a little kid, maybe 2 or 3 years old, Sean Nelan carried a socket wrench wherever he went. Cars were his thing. 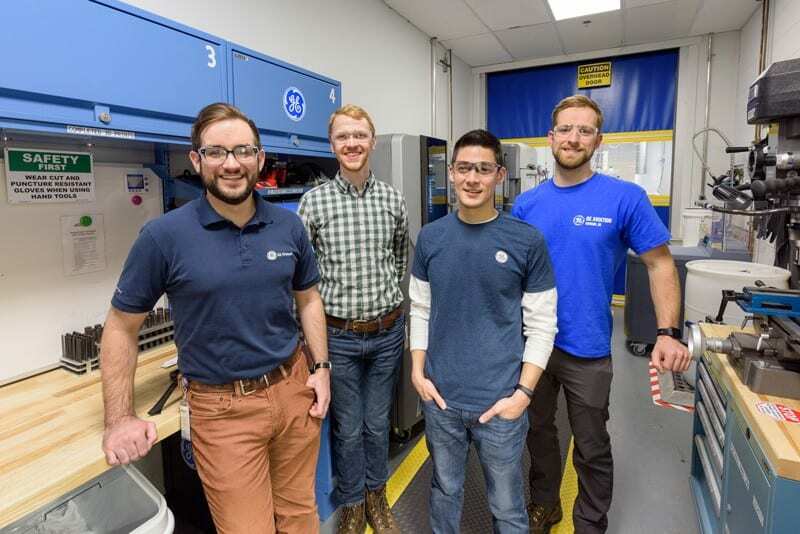 So when he was a high school student touring the University of Delaware campus and saw the Formula Society of Automotive Engineers shop in Spencer Laboratory – he had the feeling UD was the place for him. March 27, 2018 | Whether you visit The New York Times or Buzzfeed, you probably first glance at images and then scan headlines and captions to see what the articles are about. Now, imagine that you could sort through tens of thousands of articles and get an idea of what they are about in just a few minutes. March 8, 2018 | The University of Delaware is committed to the success of women in engineering. Our efforts to increase diversity in our College of Engineering were discussed in a recent Q&A. 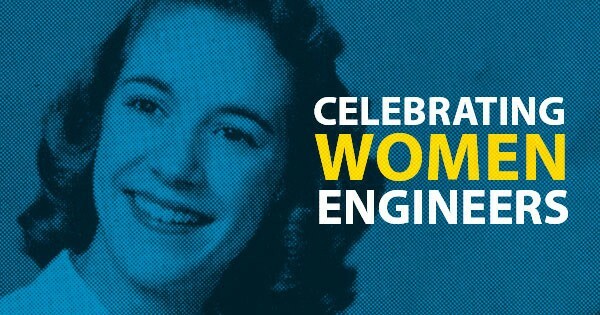 In honor of Women’s History Month, here are just a few of the women who set the course for the engineers of today and tomorrow. 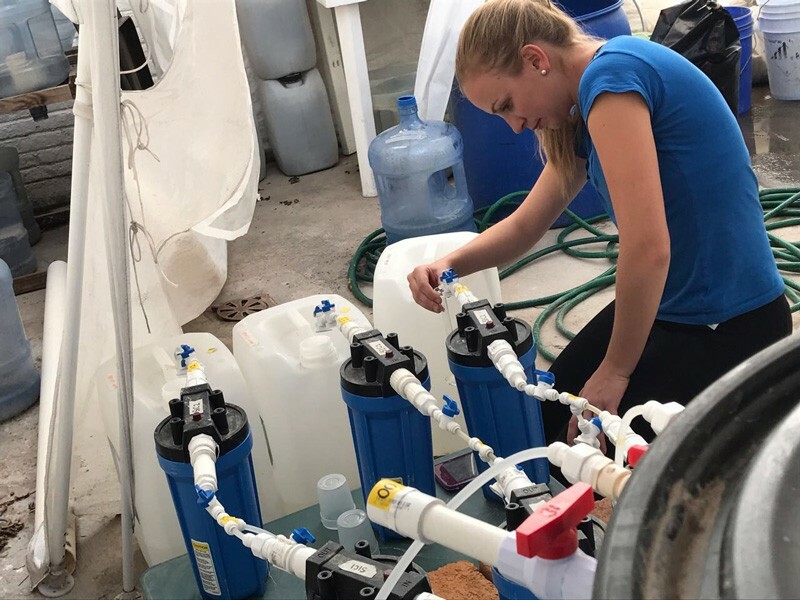 March 8, 2018 | For Sarah Hartman and Melissa Landman, one small decision to join the University of Delaware’s chapter of Engineers Without Borders set them on a greater path toward a profession in international development, a journey which has landed them, most recently, in Mexico. 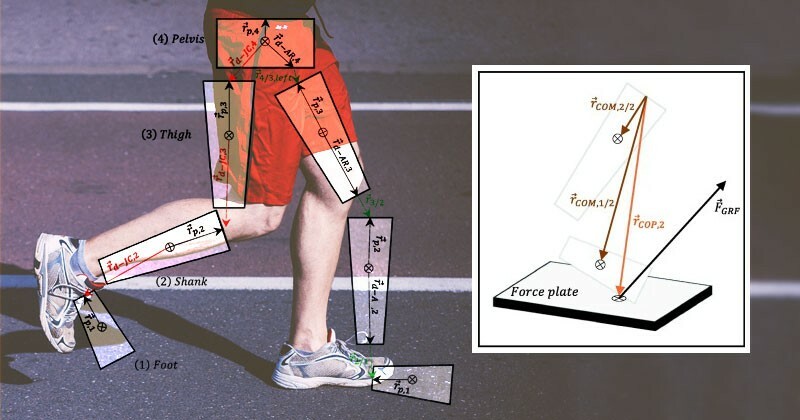 March 2018 | Gait Mechanics and Second ACL Rupture: Implications for Delaying Return-to-Sport by Jacob J. Capin, Ashutosh Khandha, Ryan Zarzycki, Kurt Manal, Thomas S. Buchanan, Lynn Snyder-Mackler received The Journal of Orthopaedic Research (JOR) Excellence in Clinical Science Award at the 2018 Orthopaedic Reserach Society (ORS) Annual Meeting in March 2018 in New Orleans. 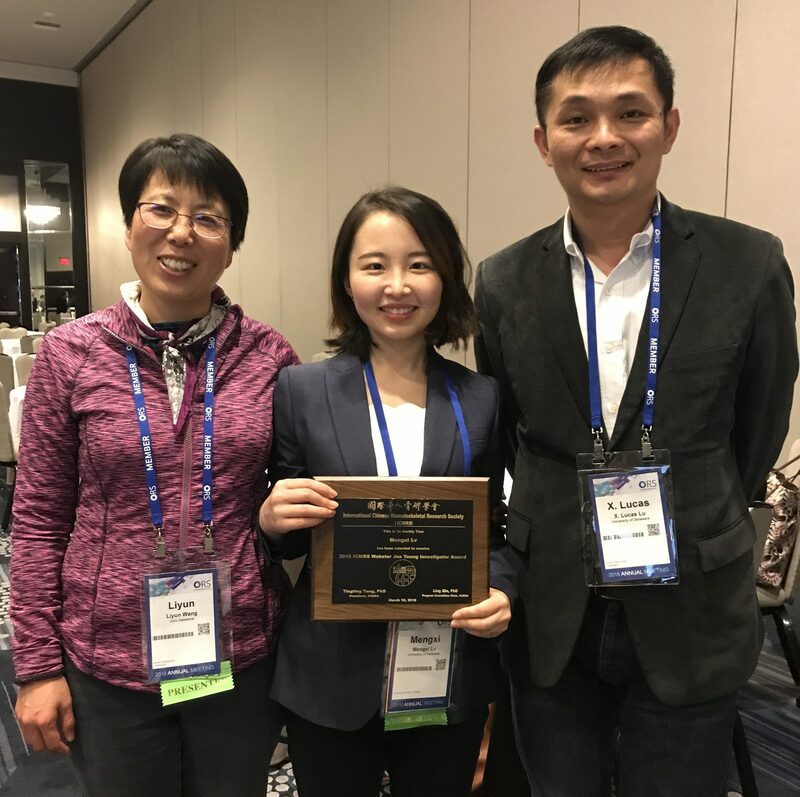 March 2018 | Congratulations to Mengxi Lv, who won the 2018 ICMRS Webster Jee Young Investigator award. Mengxi works on statin for osteoarthritis treatment under the supervision of Dr. X. Lucas Lu. Co-authors include Yilu Zhou and Dr. Liyun Wang. 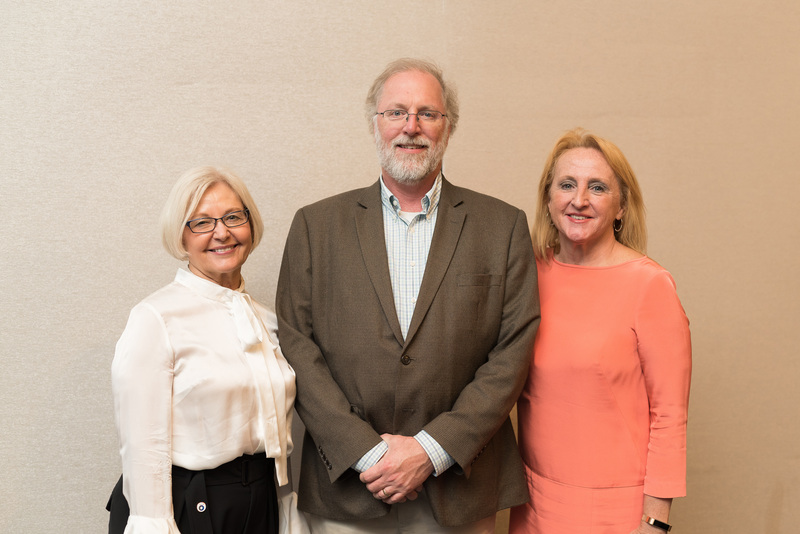 The award ceremony was held in New Orleans during the 2018 annual meeting of the Orthopedic Research Society. 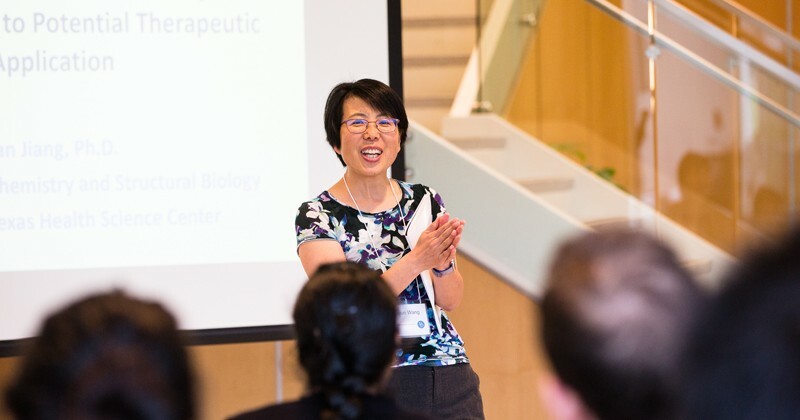 Mengxi also received the Alice L. Jee Young Investigator Award in the ORS 47th International Musculoskeletal Biology Workshop at Sun Valley and the 2nd prize in the PhD Paper Competition at SB3C Bioengineering Meeting in 2017. 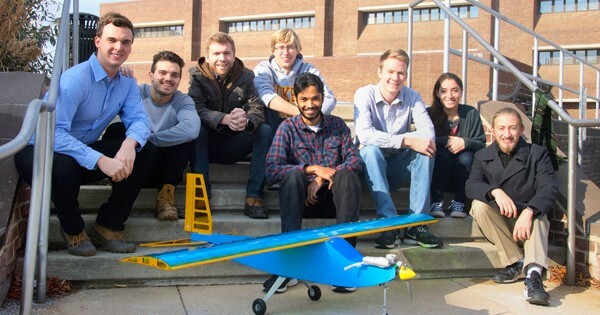 March 1, 2018 | Kyle Panariello, a senior mechanical engineering student at the University of Delaware, was in the middle of a final exam in December when he saw a sign pressed against the door that read: WE’RE FLYING. 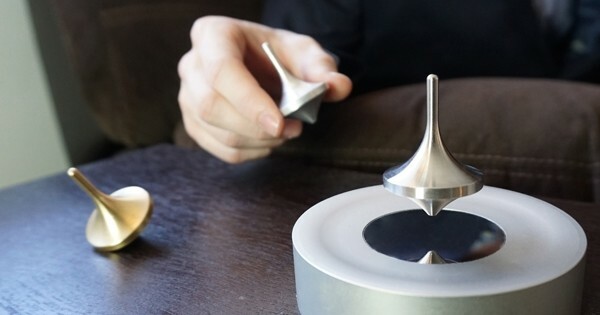 January 5, 2018 | Only 36 percent of Kickstarter projects are successful. Adam Stager passed his funding goal of $5,000 in just 48 hours, and he still has nearly two weeks to go. 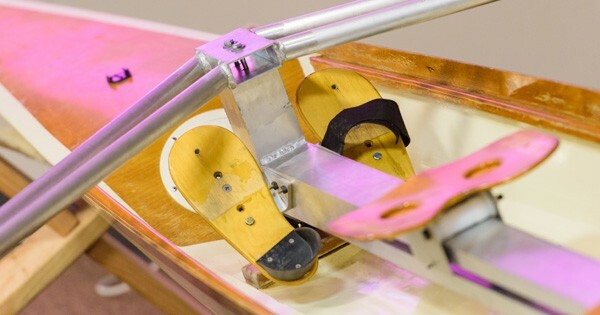 December 21, 2017 | When a Maryland-based boat kit company wanted help designing a component that rowers sit in, they contacted a University of Delaware engineer with ideal expertise. 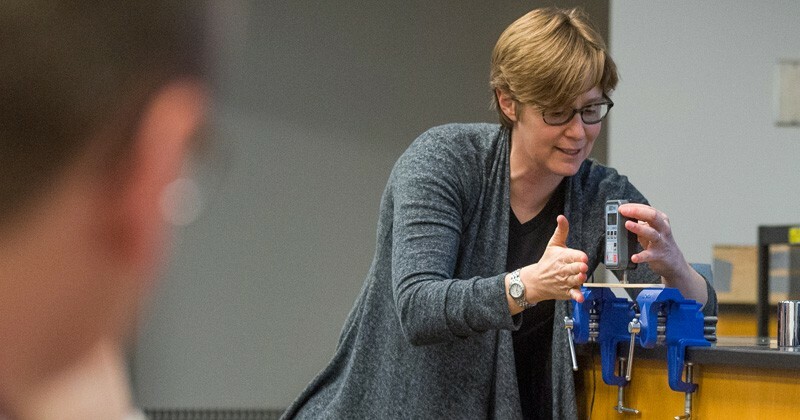 Jenni Buckley, an associate professor of mechanical engineering and a rower in the UD Athletics Hall of Fame, advises students in Senior Design, a one-semester capstone engineering design program. 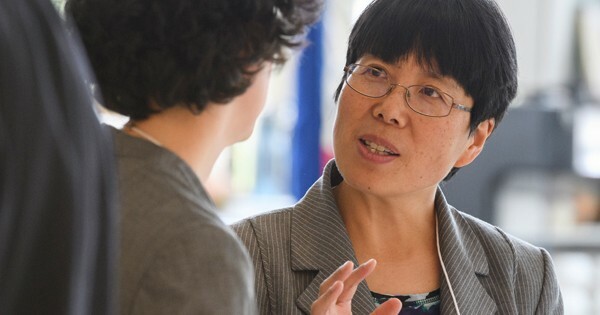 November 9, 2017 | Liyun Wang, a professor of mechanical engineering, has been named director of the University of Delaware Center for Biomechanical Engineering Research (CBER), a research center that develops engineering science and clinical technology to reduce the impact of diseases like osteoarthritis, osteoporosis, degenerated discs, and cystic fibrosis on people.